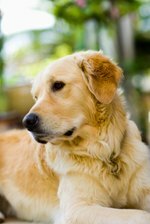 Fleas are one of the most common types of parasite known to mankind or dogkind or catkind. They are unpleasant, incredibly annoying, and really hard to get rid of. The only thing worse than a flea-infested house is the side effects you may experience from using some of the nasty chemical concoctions marketed to get rid of them. Not to mention the expense. These products certainly aren't cheap. If you'd like to try doing something that's a little easier on the environment, a lot easier on you and your pets, and won't hit you so hard in the wallet, there are a number of home remedies you can try to get rid of a flea problem and prevent recurrences. Combine equal parts of white vinegar and warm water in a spray bottle. Spray this mixture on your pet and work it into his coat with your hands. You can also spray it on pet bedding, carpeting, and anywhere else fleas might be nesting. This does not really kill the fleas, but will repel them. Put the peels from three or four (or more) oranges in a large saucepan with about one quart of water and boil until the peels are soft. Let the peels cool in the water, then blend the peels with some of the cooled water in the blender. Return the blended peels to the rest of the cooled water, then strain the mixture and funnel the strained liquid into a spray bottle. This mixture can also be sprayed on pets, furniture, bedding, carpets, etc. but unlike vinegar, this will kill actually kill the fleas as orange peels contain an ingredient that dissolves their exoskeletons. Make a homemade flea collar for dogs (not cats) by mixing two tbsp. peppermint essential oil, 1/2 c. rosemary essential oil, 2 tbsp. white cedar essential oil,1/4 c. citronella essential oil and 2 tbsp. eucalyptus essential oil. Soak a natural fiber rope in this solution, then let it dry for several hours. When the rope has dried, tie it around your dog's neck. Steep one pint of rosemary (fresh if you can get it; if not, dried will do) in two pints of boiling water for 1/2 hour. Strain the liquid, then add enough warm water to make one gallon. Pour this dip over your dog until her fur is saturated. Do not rinse it off and allow your dog to air dry. Squirt a little dish soap into a shallow pan full of water. Place the pan under a night light to attract the fleas, who will then fall into the water and drown. You can also use glue traps like the ones used for mice, placing these under night lights as well. Sprinkle salt or Borax all over your carpet and let sit for 24 hours, then vacuum thoroughly. Always throw away the bag or empty the canister after you vacuum, as you want to be rid of any fleas and/or flea eggs you may have vacuumed up. Regular vacuuming (with or without salt or borax) is one of the best ways of controlling a flea infestation.